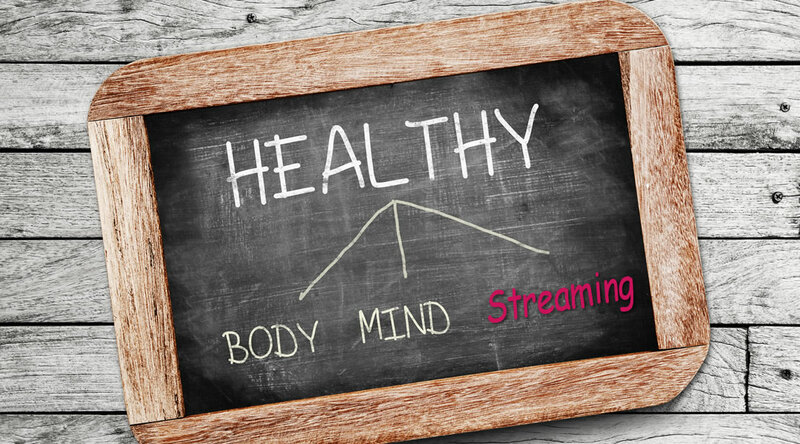 When you’re passionate about streaming, the strain it places on your body and mind may not be immediately apparent. However, as time passes, you may find yourself struggling with low energy, high stress, and a variety of physical and mental issues. Not only will these problems compromise your streaming; they’ll damage your life in other ways. Successful streamers prioritize their health. They take time to recharge the body and revive the mind. They also approach their streaming with a healthy attitude and mature perspective. In your day-to-day life and in the middle of streaming, how can you protect and promote your physical health? The general recommendation for adults is at least 150 minutes of moderate aerobic exercise each week. At least twice a week, adults should also perform exercises that strengthen their muscles. At the website of the Centers for Disease Control and Prevention, there are more details about this recommendation, including how it’s modified for people who exercise intensely. You don’t need to join a gym to reach a healthy level of physical activity. You can elevate your heart rate by walking at a quick pace, using an exercise video at home, riding your bike, playing sports, taking dance lessons, or carrying out certain kinds of yard work. Activities for strengthening the muscles don’t require weights or other equipment. Calisthenics, for instance, can help you target a variety of muscle groups. Space out your exercise across three to five days each week. If you need to, you can also break your exercise routine into chunks of 10 or 15 minutes. Just make sure you’re sticking to the activity consistently within the timeframe and not repeatedly stopping for no reason. Find the combination of activities that works best for you. You’ll be guided by personal preferences and the specific needs of your body; some types of exercise may be more beneficial or enjoyable for you than others. Be sure to get advice from a doctor too. Any elevated level of activity is an improvement over a sedentary lifestyle. You can introduce exercise into your life gradually and let your body adjust to the changes. Higher energy levels, giving you more energy for streaming. Improved cardiovascular health, stronger bones and muscles, and other positive changes throughout the body. A lower chance of developing a variety of diseases. Stress relief, greater confidence, and improvements in mental health. With food, it’s tempting to take shortcuts. For energy boosts, you frequently rely on cans of Red Bull. For a quick bite, you eat chips, cookies, and other processed foods. If you’re thirsty, you reach for Coke or Mountain Dew. Your diet becomes heavy in sugar, salt, and unhealthy fats, and it lacks the nutrients you need to stay healthy and energetic. Eat a variety of nutritious food, including lean proteins and regular helpings of fruits and vegetables. Consume a sufficient amount of fiber. Fruits and vegetables will supply you with fiber; so will whole grains, beans, and nuts. Limit your sugar intake. You can start by paying attention to what you drink. Many sodas, fruit-based beverages, energy drinks, and coffee drinks have high amounts of sugar per serving. Make better choices for restaurant food. Ideally, you won’t be eating from restaurants all the time. When you prepare food at home, you have more control over ingredients and portion sizes. However, if you’re eating from a restaurant, consider these tips. Prepare meals at home. If you’re short on time, there are numerous sites that suggest quick and nutritious recipes. Here’s one example. Avoid mindless eating. Maybe you tend to eat when you’re bored or distracted. You open a large bag of chips while streaming, and you finish everything in it without noticing. Remain mindful of what you’re eating, and try not to eat straight from the package. Pour a limited quantity of food in a bowl or on a plate. Drinking enough water will help keep your mind sharp and your energy levels up. It will also lower the chances of kidney stones and other health problems. Carry a bottle of water with you throughout the day, and make sure to drink from it while you’re making videos. A greater likelihood of getting into a vehicular accident. A harder time concentrating and taking in new information. Slower reaction times. If you’re a gamer, this can hurt your performance during streams. Irritability, volatile moods, and other mental health issues. Poorer overall health, including a higher chance of weight gain and heart disease. Sleep deprivation can also compromise your ability to fight off germs. Ideally, you’ll be getting eight hours of sleep each night. If that isn’t always possible, you should at least aim for seven. Some individuals seem to do well with less sleep, but they’re in the minority. Bathing regularly, washing your hands before you eat, and maintaining a clean home are all important for preserving your health. Good hygiene also leaves a positive impression on people and makes you more presentable on camera. Especially if you’re streaming games, you may be sitting for hours at a stretch. Even if you’re getting enough exercise throughout the week, it’s important to take a break from sitting still for a long amount of time. Sitting too much without moving can lead to anything from back pain to an increased risk of blood clots. Set aside time for short breaks during your stream. Make sure you’re stretching and changing position. Check that you’re maintaining a good posture and not sitting hunched over. Stand up, walk around, jog in place, or do some jumping jacks. Pause to drink water or to eat a healthy snack. Look away from the screen. Doing this will help you avoid eye strain and headaches. As you take these short breaks, you can continue chatting with viewers. Share some thoughts on your game play, start a discussion, crack jokes, or pose a thoughtful question. Another benefit to taking a break is that it gives your hands and fingers some rest. 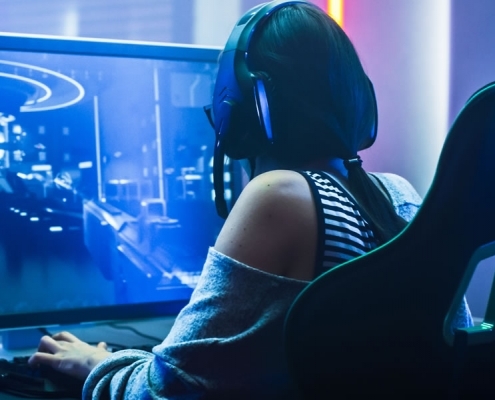 Gamers are prone to repetitive stress injuries. Stopping periodically to roll your shoulders and stretch your fingers and arms can help reduce the chances of injury. Here’s one guide to dealing with repetitive stress while gaming or using computers. On-stream breaks are also intended for stress relief. You need to give your brain some rest and allow yourself to mentally regroup. If you aren’t constantly pushing yourself to the point of pain and fatigue, you’ll strengthen your mental health. Streamers often struggle with exhaustion and brain fog. As their stress levels increase, they become more prone to feeling discouragement, sadness, and irritability. They begin to brood over their performance metrics and wonder if they should give up. Sometimes, they experience burnout and stop making videos. What are some of the ways to improve mental health? All of the tips in the previous section on physical health will also enhance your mental well-being. And mental well-being contributes to a healthier body. Burnout damages your life professionally and personally. It depletes you of energy and motivation and takes a toll on your health. Before you reach the point of full burnout, you want to spot the warning signs and make changes in your life. What are some of these signs? Chronic tiredness, headaches, and other physical complaints. A feeling of being disconnected from other people and the world around you. A lack of enjoyment during streaming and other activities you usually find interesting. A regular struggle to be productive or come up with creative ideas. In addition to warning you of excessive stress and burnout, these signs may indicate depression or other health issues. Keep paying attention to what your body and mind are telling you. You may want to stream every day and stick to it for hours on end without stopping. But you aren’t a video game character who can keep running, jumping, and fighting indefinitely. A grueling streaming schedule will compromise your health and lead to an imbalance in your life. Even as you stream a great deal, the quality of the videos will deteriorate. To be a successful streamer, you don’t have to film yourself every day or make each stream last for several hours. What’s important is to stream consistently with a schedule that works for you. For instance, maybe you’ll stream twice a week for three hours each time. All you need to do is let your viewers and followers know when you’ll be online. It’s easy to get overwhelmed by work, streaming, school, and other commitments. Make sure you’re setting aside time to have fun or relax. Regularly hang out with friends and family. One of the biggest mistakes people make is to isolate themselves and neglect their relationships. Don’t spend all of your time in front of a screen. Leave your online persona behind for a while. Go hiking, play board games, run around outside with your dog, or take a nap. Try meditating or using relaxation techniques. Here’s an excellent introduction to techniques and tips for relaxation. In the middle of a long stream, you can take short breaks to relax and evaluate how you’re doing. Outside of streaming, you should also take time to reflect on your goals, praise yourself for your progress and accomplishments, and check that your streaming schedule fits well with the rest of your life. These assessments help keep you focused on your needs and remind you of your purpose. If you see that you’re neglecting your health, you can start making the necessary changes. Don’t think of your streaming as an activity that’s isolated from the rest of your life. 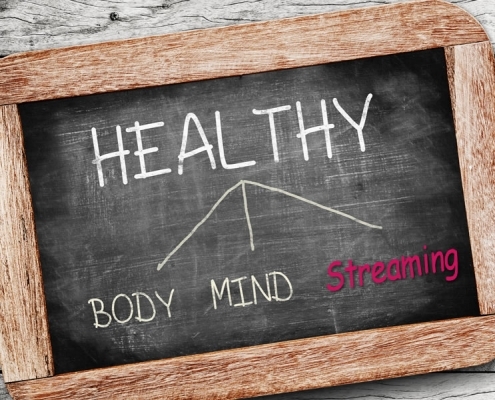 Your streaming goals should remain secondary to the goals you set for your physical and mental well-being. No amount of streaming is worth the exhaustion, illness, and low spirits that come from poor health. Just as you set a schedule for your streaming, you should create one for exercising and relaxation. You should leave enough time for sleep, maybe including power naps before your streams. And you should plan for what you’ll eat on a given day to ensure that it’s nutritious and that you’ll have enough time to prepare it. A healthier lifestyle will fuel your sense of purpose and give you the happiness and energy you need to create memorable live videos. 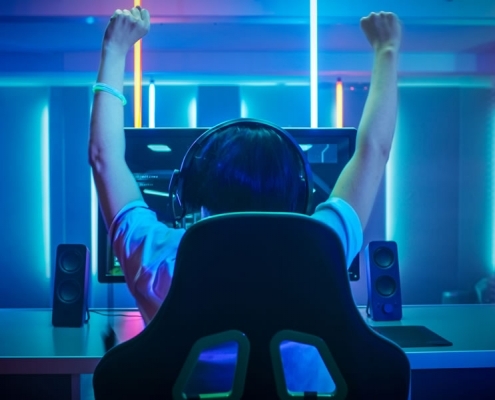 By relying on some of these healthy habits in the middle of your stream and discussing physical and mental wellness with your audience, you can also wind up finding new ways to inspire people and connect with them.